With the Winter nights upon us, it’s now the time of year to focus on lights in the home. Create cosy spaces for the evening and bright work spaces throughout the day. A big trend this year has has been rattan and woven lampshades and this is not going away through into 2019. This style gives a relaxed feel to a room and will work with most decor. The natural fibres and woven form soften a space and allow for any colour backdrop. Wood accents are also big for next year, so this is a great way of introducing this through lighting. We love this diy project, and it’s so adaptable to your style and room. This woven lamp is simply made from two metal lamp shade frames and some cotton thread in various colours. Attach the two frames together and then you can start getting creative weaving the thread. It’s an intricate process but we’ll worth it. We are a little obsessed with rattan at the moment and you can currently spot it in furniture and lighting everywhere. 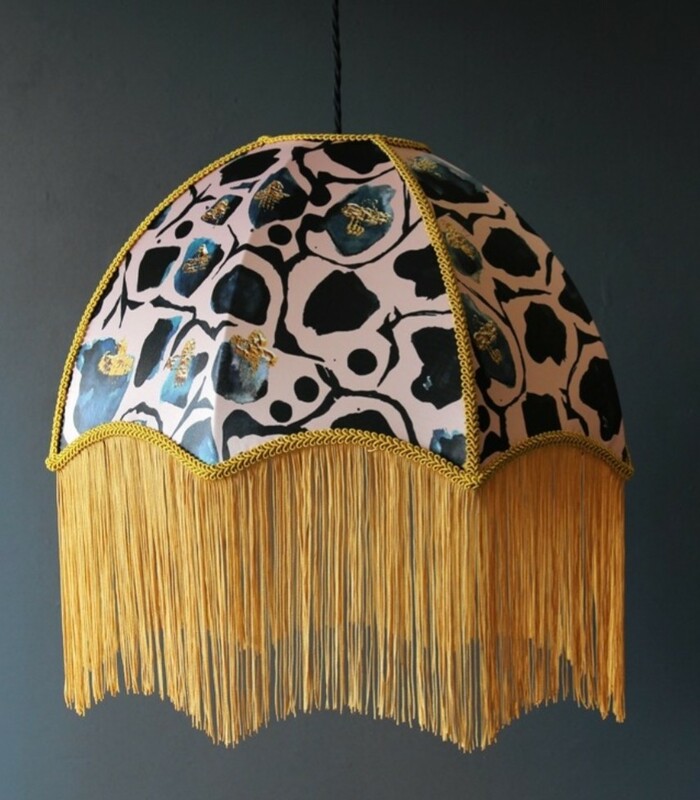 We have picked out these fun lampshades from made.com available in black and natural. Choose from 3 different designs for a modern take on a 70s classic. These shades will look great in any room. With all the options of lighting available sometimes it’s nice to find a traditional lamp shade, an easy way to update an old base. We have spotted this lovely example from ikea.com. The cut out detail on the shade casts a pattern of light when on and when off it’s an attractive addition to any room. We have seen many shades of pink throughout 2017 and it seems to still be in high demand. A shade of pink that is not going away anytime soon is Blush. A popular choice for those wanting to introduce colour into a room but maybe afraid to go too bright. It doesn’t matter which room – living, bedroom or kitchen – blush can feature everywhere. The blush shade works best when on chairs and soft furnishings with tactile materials like velvet and soft linen. Whether your room is a light neutral space or dark and moody, a blush statement chair will fit perfectly. It compliments colours grey and green really well, as well as materials like brass, copper, gold and dark woods. Add touches of blush with cushions and accessories. Find interesting patterns and quirky designs to inject fun into your home. 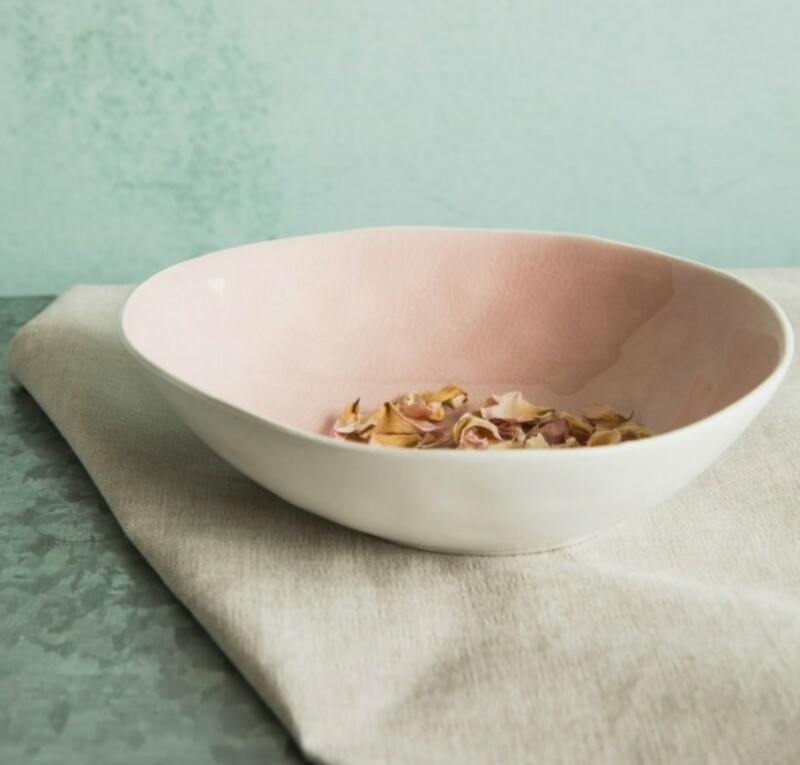 If you look at any online interiors store you will find the blush items are still prominent. This is proof that this gorgeous shade of pink is going to be taking us through to Autumn / Winter. This is probably the most simple project we have featured. There are only three steps to create this cool plant stand, made from the wire frame of a lampshade. Step one: Choose the shade size you want [ make sure the frame connects at the top and bottom ]. Pick one with an interesting shape and perhaps choose a few in different sizes. Step two: Remove the fabric shade & cut off any excess parts you don’t need using wire cutters. Step three: Spray the frame whatever colour you like and then ta da…its done! We think these plant stands look best in black or white for a monochrome finish. But of course the choice is yours. If you’re in London today it’s not to late to get a place on the London Craft Club‘s ‘make a lamp shade‘ workshop in Highgate ( Lauderdale House N6) but if you miss out, explore their website and find another great creative workshop and sign up. Other inspiring tutorials include embroidery, pyrography and decoupage.